Creative brand-building efforts in the cannabis market will grow exponentially over the next decade as the U.S. market alone is expected to quintuple from $10 billion today to $50 billion in 2027. What will drive brand-building efforts now, and how will that change over time? In these early days of “mainstreamification,” education will take center stage in brand-building efforts as the vast majority of prospective customers know little about the products, their formulations and their benefits. There is a very large knowledge deficit and a commensurate thirst for credible information. 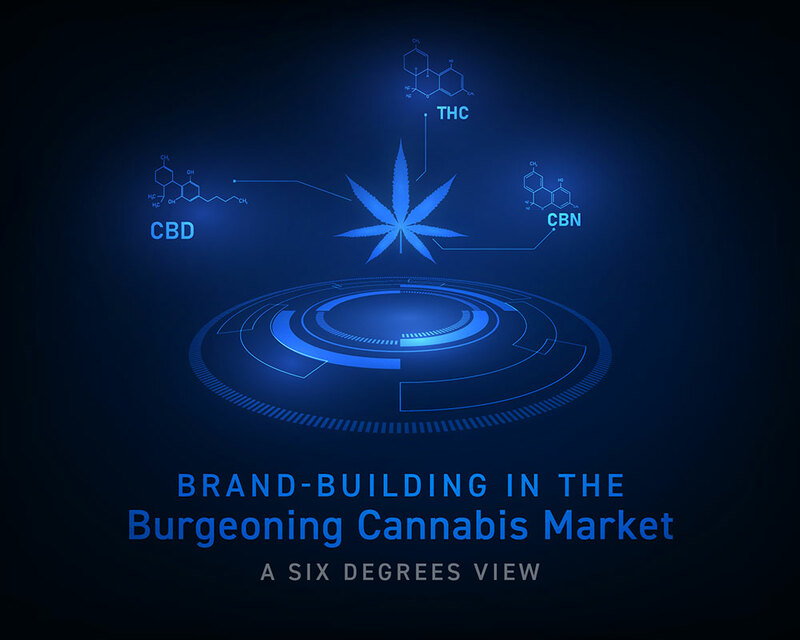 At the same time, the lingering stigma of marijuana must be dispelled by socially appropriate and transparent brand names, brand identities and brand communications. Appealing to mainstream audiences means understanding and catering to demographic and psychographic segments like professionals, soccer moms, the health-conscious, wellness seekers, laborers, athletes, etc., either with strong mainstream branding or segment-specific branding, messaging and imagery. Either approach has pros and cons. We expect there will be a bifurcation between recreation-focused branding and wellness-focused branding. The former will emphasize cognitive effects and mood benefits. The latter will tout benefits related to managing specific diseases and symptoms. There will also be a battle royale between those building brands around dispensaries, buds/strains, delivery devices/formats and features/benefits. While the dispensary brands may have the advantage early on as customers get comfortable with a single source (or even a single person), as the market moves to a national and eventually global scale, it seems likely that the real fight will be among the latter three. Either way, early winners will educate and cater to the specific needs and wants of their targeted segments. The days of logos featuring some rendition of the distinctive marijuana leaf (currently, nearly half of registered weed company logos feature it) will come to an end as its use fails the “good branding” criterion of being differentiated from the competition. Gone, too, will be the gratuitous weed puns and lame references to the ‘60s and ‘70s. As the industry matures and competition increases, strong and effective branding becomes ever more essential to commercial success – as it has in all other maturing sectors. Those who invest early in building compelling, differentiated and sophisticated brands will not only weather these early days but will flourish in the future. For more information and support on branding in the cannabis market, click here.